Thievery Corporation - Otter Productions Inc. | Otter Productions Inc. 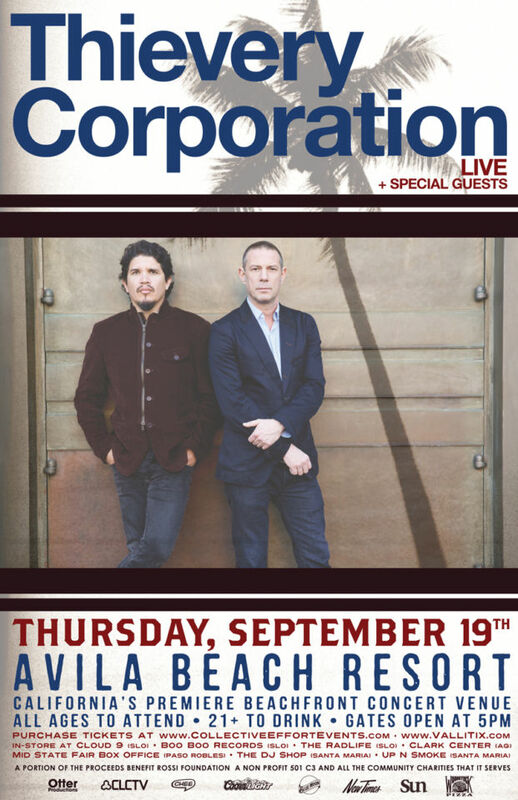 Thievery Corporation - Otter Productions Inc.
the Thievery Corporation concert on September 19th, with special guests GRiZ, Emancipator and Tropo at the Concerts at the Cove series in Avila has been cancelled. 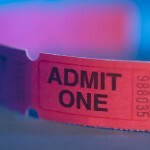 Please return your tickets to your point of purchase. Both Bay Area and Southern California dates are still up and going, however, and tickets are still available for both shows! Sorry for any inconvenience. Thievery Corporation was formed in the summer of 1995 at Washington D.C.’s Eighteenth Street Lounge. Rob Garza and Lounge co-owner Eric Hilton were drawn together over their mutual love of club life, as well as dub, bossa nova and jazz records. They decided to see what would come of mixing all these in a recording studio, and from this, the duo started their Eighteenth Street Lounge Music record label…Thievery Corporation is a Washington, D.C. based recording artist and DJ duo consisting of Rob Garza, Eric Hilton, and their supporting artists Rob Myers, Frank ‘Booty Lock’ Mitchell, Jeff Franca and Ashish Vyas. Their music style mixes elements of dub, acid jazz, reggae, Indian classical, Middle Eastern, and Brazilian (such as bossa nova). Available at: www.CollectiveEffortEvents.com, www.ValliTix.com, In store at Cloud 9 (SLO), BooBoo Records (SlO), The Rad Life (SLO), Clark Center (AG), Mid State Fair Box Office (Paso), The DJ Shop (Santa Maria), Up in Smoke (Santa Maria).